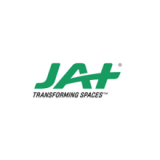 JAT Holdings the #1 Wood Coating provider in Sri Lanka has been diversified into 3 verticals in Furnishing, Finishing and Technology. The company represents Sayerlack, the #1 Wood Coating brand in the world and are proud to carry the title of “Largest Worldwide Distributor”. JAT Holdings is the market leader in Wood Coating in Sri lanka and Bangaladesh while being present in Maldives, Pakistan and India. JAT Holdings was named one of the 30 most respected companies in Sri Lanka by LMD in 2017 and has been integrated as an end-to-end solution provider, that utilizes design and construction to create and transform spaces in both domestic as well as corporate spheres. An excellent work environment, growth potential within the company and an attractive remuneration package corresponding with qualification and experience will be rewarded to the selected candidate.